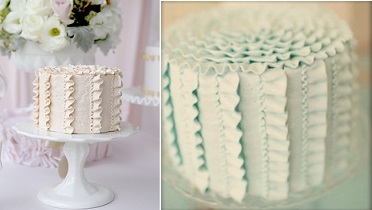 Buttercream ruffles and frills make up the final part of our buttercream piping series. 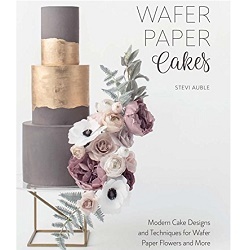 The terms are used interchangeably, but here at Cake Geek we tend to call the design above buttercream “ruffles” and the designs at the bottom of the page, buttercream “frills”. 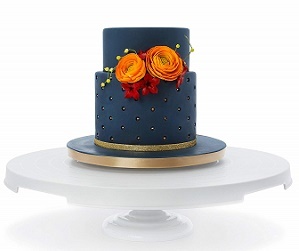 Whatever terms you use, both designs create a beautiful effect and are super on-trend at the moment for wedding cakes and party cakes. 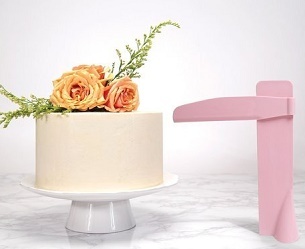 The two beautiful cake designs above are by Colour It Sweet (left) and by Carisa’s Cakes (right) and below, we have two more fabulous examples via The Tom Kat Studio (left) and Wedding Chicks (right). 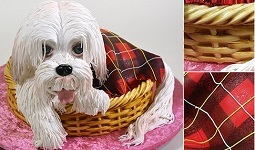 Craftsy have a great free tutorial here on how to pipe buttercream ruffles. 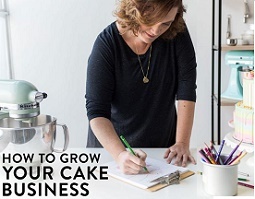 If you want to try your hand at re-creating the Colour It Sweet cake design top left, Cake Journal also have a tutorial here on how to make a peony rose. 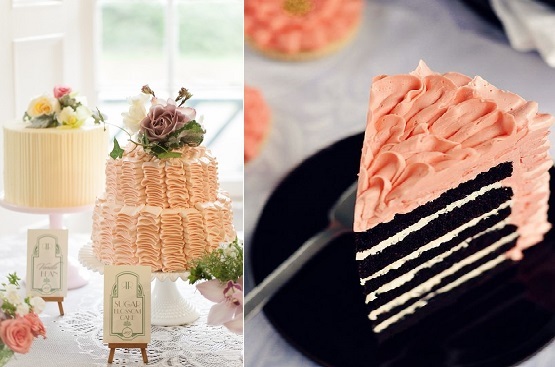 Below we have beautiful afternoon tea setting featuring a very elegant buttercream ruffles cake. 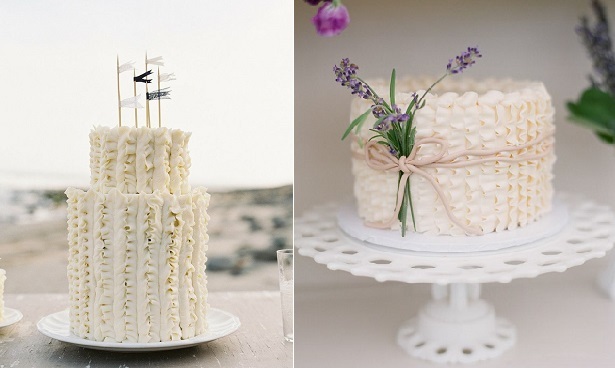 (Images via Pinterest, left and via Rosie Alyea on Flickr, right). 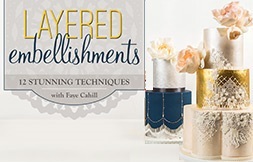 The designs below we call buttercream “frills” and you’ll find a great tutorial here on how to pipe buttercream frills (vertically) from Baker’s Royal and a tutorial on how to pipe buttercream frills (horizontally) here from CupADee Cakes. 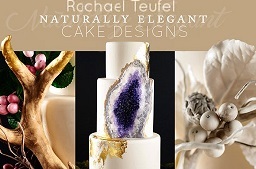 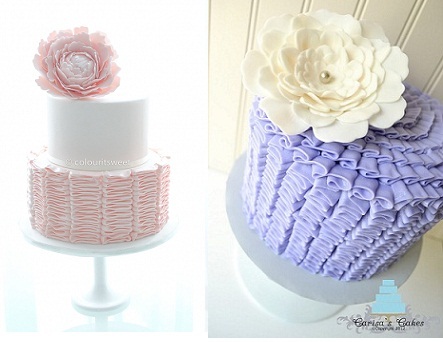 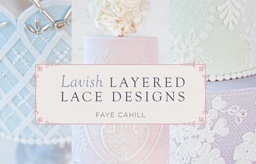 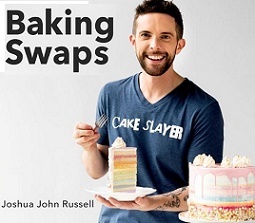 (Cake designs below via Style Me Pretty, left and via Ruffled, left). 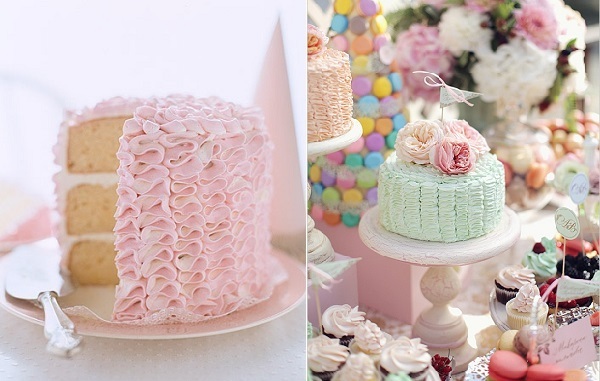 Our final two examples of fabulous buttercream frills cakes below are by by Sweet Tiers (left) and We Are Home Sweet Home via Tumblr (right). 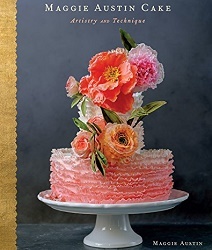 For more on the latest buttercream techniques, check out Erica O’Brien’s Better Buttercream classes on Craftsy below. 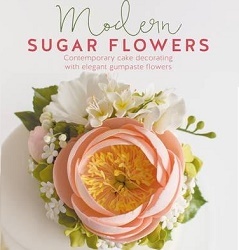 Learn to create beautiful buttercream flowers on Make Fabulous Cakes, below. 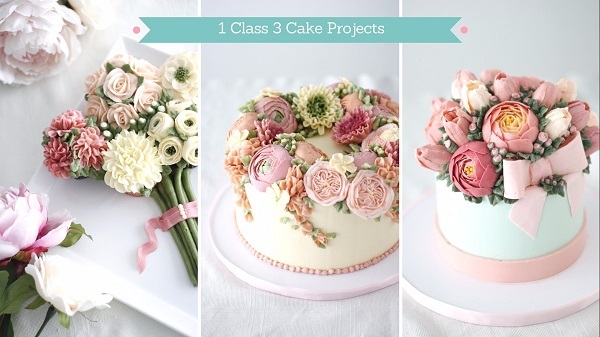 You’ll find more buttercream flowers classes online with Crafty’s Fresh Arrangements: Buttercream & Beyond class (below left) and Buttercream Basics teaching the pretty buttercream flowers cake and piped buttercream messages (below right). 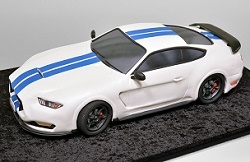 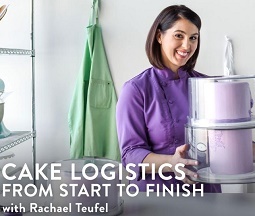 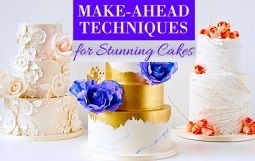 And if you want to take your buttercream art skills to a whole other level, then check out buttercream superstars, Valeri Valeriano & Christina Ong’s classes: Innovative Buttercream Cakes & Unbelievable Buttercream Techniques.